This book, by Hamish Coates and Alexander McCormick, provides university teachers, leaders and policymakers with evidence on how experts in several countries are monitoring and improving student engagement. 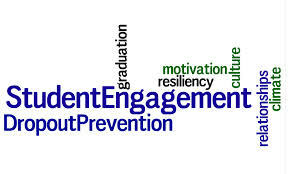 It captures insights from cross-national implementations of the National Survey of Student Engagement (NSSE), developed in the United States and implemented there since 2000. The book concentrates on what institutions, faculty, students and researchers have done to convert insights on student engagement into improvements in learning and teaching. The book draws on the largest international collaboration yet around educationally relevant data on students’ engagement in higher education. NSSE was developed in the late 1990s and has been implemented for over a decade at some 1,500 colleges and universities. Over the last decade, NSSE has been adapted and implemented in Canada, Australia, New Zealand, South Africa, China, and Ireland. Leaders of these national collaborations contribute insights based on their collective experiences with hundreds of institutions. The breadth of the contributions gives the book broad international scope.